I can no longer afford the monthly payment to MRI. What can I do? Please get in touch with us before cancelling your monthly payment as we could reduce your monthly amount so that you can still help us provide life-saving aid. Why should I Gift Aid my sponsorship or donation? It really helps us if you can Gift Aid your sponsorship or donation – it increases the value of your donation by 25%. If you are a UK taxpayer, selecting to ‘Gift Aid’ your donation (by checking the box on our website or informing our call centre staff by phone) will make it worth more to us at no extra cost to you. In order for Medical Relief International (MRI) to reclaim the tax you have paid on your donations, you must have paid income or capital gains tax (in the UK) equal to the tax that will be claimed by all the charities that you donate to (currently 25p for every £1 you give) in the same tax year (5th April to 6th April). Please notify us if you are no longer eligible to Gift Aid your donations. The tax reclaimed will be used to help fund the costs of the charity so more of your actual donation can go directly to those in need. Gift Aid can be added to your donation if you are donating your own money. We regret that Gift Aid cannot be reclaimed if you are paying donations you collected from others, even if everyone was a UK taxpayer. Neither can it be reclaimed on donations made by companies. Other taxes such as VAT and Council Tax do not qualify. We only use secure systems with banking standard safety features to make sure that your payment and financial data cannot be compromised. All online payments are securely processed via Charity Checkout and no financial data is retained on our servers. Can I make a regular payment? Yes, small payments made regularly can make really help Medical Relief International. You can set up an affordable monthly Direct Debit or a standing order. Automatic, monthly payments are the most efficient way to support Medical Relief International as they reduce the cost of administration. Regular commitments allow us to plan ahead and ensure we have a reliable source of income to provide aid.  There are many ways to help Medical Relief International (MRI). You can make a donation; organize an event or even volunteer for us. As a business you can help in many ways. You can make a donation, enter into a corporate partnership or even sponsor one of our events. Can I make a one off payment? Yes you can, although we encourage our donors to give regularly even in smaller donations as this enables us to continue the work we do. Can I cancel my monthly payments anytime? Yes of course, we’d appreciate your commitment long term however we completely understand circumstances change and not everyone is able to commit to monthly payments. Is Charity Checkout A Secure Payment Portal? Yes. All donations made through Charity Checkout are securely encrypted and processed using SSL with minimum 128-bit encryption and firewalls. We only store card data on PCI DSS Level 1 compliant servers, the highest level of security. Are Our Donations Safe With Charity Checkout? Charity Checkout pays out credit and debit card donations to us in a monthly payout. The donations are always held in a client account prior to being distributed to us. This ensures that your donations are completely ring-fenced and will always be protected.